LOS ANGELES, Calif., March 10, 2012 (SEND2PRESS NEWSWIRE) — For professional journalists, legitimate content publishers and career bloggers seeking original news content, Send2Press – for the week ending March 9, 2012 – issued press releases on behalf of Griffin Pest Solutions, NOLA Shirts LLC, TeamSnap Inc., and Temecula Valley Strawberry Farms, among many others. AUSTIN, Texas (TX) — B2B Marketing Strategist and President of Dawn Westerberg Consulting LLC, Dawn Westerberg will be presenting ‘Adding Google+ To Your Marketing Mix’ for members of The Association of Strategic Marketing on March 15, 2012. ATLANTA, Georgia (GA) — CMI’s Mike Mabey, vice president, client solutions, and Jarod Ricci, senior manager, market analytics, Pfizer Specialty, will present ‘Using Information-Seeking Behavior to Drive Segment-Specific Communication Strategies’ at the 2012 PMRG (Pharmaceutical Marketing Research Group) Annual National Conference. KIRKLAND, Washington (WA) — Today LTC Financial Partners LLC (LTCFP) discloses plans to offer a beefed-up array of long-term care insurance choices for individuals and employee groups. The offerings are from multiple insurance carriers. MANCHESTER, Vermont (VT) — CONIX Systems, Inc. (CONIX), a leading international provider of payment processing solutions to the financial services industry, is proud to announce that it has served financial institutions and processors since 1992. For two decades, CONIX has pioneered payment processing products that reduce system maintenance costs and improve operating reliability. BOULDER, Colorado (CO) — TeamSnap, a leading web service for managing sports teams and leagues, today announced it had expanded its staff in response to strong customer growth. ‘We are adding customers at over twice the rate we were at this time in 2011. We seem to be hitting a real sweet spot and we needed to build our own team to support and extend this growth,’ said David DuPont, CEO of TeamSnap. SALT LAKE CITY, Utah (UT) — According to statistics calculated by the company, International Document Services (IDS), a mortgage document preparation vendor, found that 2011 was the company’s biggest year to date for initial disclosure documents. NEW ORLEANS, Louisiana (LA) — In the aftermath of the recent Mardi Gras madness that engulfs New Orleans this time of the year, one man’s hope to bring awareness to the city’s unique nature and spirit has emerged in the public eye, and caught national attention. A few days following Hurricane Katrina’s impact on the city, Billy Schell, Owner/CEO of NOLA Shirts, created a brand embroidered on high quality shirts, hats, and apparel. RICHFIELD, Ohio (OH) — Pest Control Technology (PCT) magazine, and sponsor BASF Pest Control Solutions are proud to announce the 2011 Commercial Service Technician of the Year is John Dawson and category finalist is Chad Mackie, both from Griffin Pest Solutions, headquartered in Kalamazoo, Michigan. For the past 15 years, PCT magazine has recognized standout commercial service professionals. NEW YORK (NY) — EaseUS Software, a leading provider of data recovery, partition manager and backup utilities, releases EaseUS Mac Photo Recovery Free to recover intentionally or accidentally deleted photo files; even after emptying trash with original file names. Quickly rescue your Mac OS photos and music, free of charge. NEW YORK (NY) — Fare Buzz, a travel company located in New York City, has been growing their corporate travel division over the past year to cater to large and small companies for their travel needs. The division aims to help businesses save both time and money with their business travel needs. TEMECULA, California (CA) — Temecula Valley Strawberry Farms, Southern California’s first commercial hydroponic urban vertical farm, partners with EnviroIngenuity to promote new production techniques. On Saturday, March 17, 2012, the public will experience the future of farming at the grand opening of Temecula Valley Strawberry Farms, Southern California’s first hydroponic vertical strawberry farm. AUSTIN, Texas (TX) — 360 Mortgage Group, a privately owned wholesale mortgage bank, is sponsoring the upcoming Florida Association of Mortgage Professionals (FAMP) annual trade show on Tuesday, March 6 in Tampa, Florida. IRVINE, California (CA) — PowerGuard Specialty Insurance Services announced today the addition of Hilton Brown as Vice President of Claims Management. Specializing in claims management and client advocacy, Brown brings 22 years of experience to the PowerGuard team. NEW YORK (NY) — Storage management and maintenance software developer EaseUS Software plans to release EaseUS CleanGenius 3.0 this month, a cleaner and uninstaller for Mac OS. The new version aims to provide a more effective way to find disk space and boost your Mac performance. SKIPPACK, Pennsylvania (PA) — What started out as a high school graduation project has now evolved into a full-time business for one savvy, young businessman, Shane McGinley, founder of Mini Backboards – a manufacturer of the hottest, most unique product to hit the basketball award and gift decor market in years. HOUSTON, Texas (TX) — Rockwood Enterprises, Inc., a six-year-old Houston-based marketing and publishing company, announced today the launch of an audio book version of “Equinomics 101″ – a management and record keeping system designed to teach horse owners and horse-related businesses how to efficiently manage their finances. FINKSBURG, Maryland (MD) — With over 50 million tailgaters in the U.S. each year, Tailgating Digest is a new company preparing to launch digital and print magazines to reach this growing market. As a multi-media company, Tailgating Digest also completed a partnership in January 2012 with one of the leading web sites reaching tailgaters. “A great magazine, website and company is built on valuable content. That is what we plan to deliver across all of our media channels,” says Marc Heyman, founder and publisher. To view these and other recent news items, each week, please visit: http://send2pressnewswire.com/ . Follow on Google+ at: https://plus.google.com/109006818384856983454 . Like/Subscribe on Facebook at: http://www.facebook.com/Send2PressNewswire . 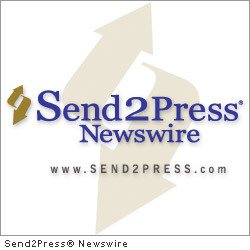 To subscribe to a daily summary of news by e-mail and/or for RSS, Twitter, Facebook, and other options to follow news from Send2Press(R) Newswire, please visit: http://send2pressnewswire.com/subscribe . All news items issued on behalf of the respective news source are believed accurate but not guaranteed. The accuracy of any news item is solely the responsibility of the issuing news source and not Send2Press Newswire. Send2Press(R) is a service of Neotrope(R), and is a registered U.S. trademark. Neotrope is a registered mark in U.S. and Europe.